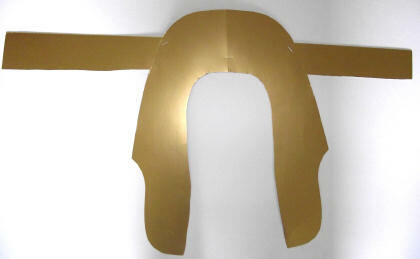 Cut a band of gold card about 5cm wide and long enough to wrap around your head. 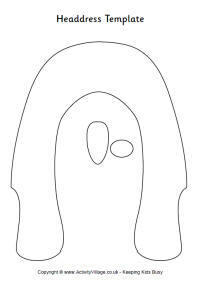 Either enlarging our template on a photocopier or using our photo (above) as a guide, draw an outline of a headdress shape onto gold card. Cut out and staple to the centre of the gold band. 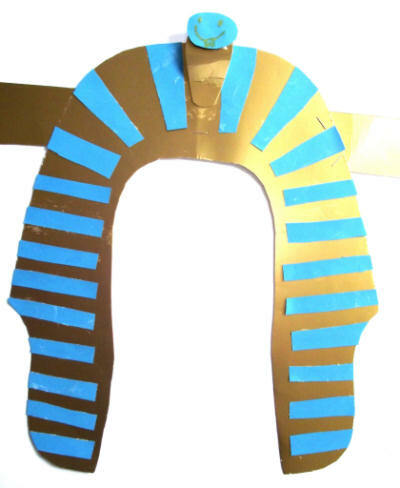 Cut strips of blue paper and glue them around the headdress as in the picture (above). Trim off any overhanging edges. 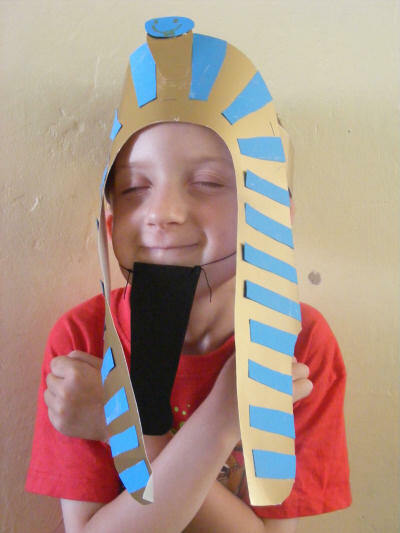 Make a snake from a gold card body and a blue paper head and glue to the top of the headdress. Bend the card band around your head and staple the ends to make it fit. 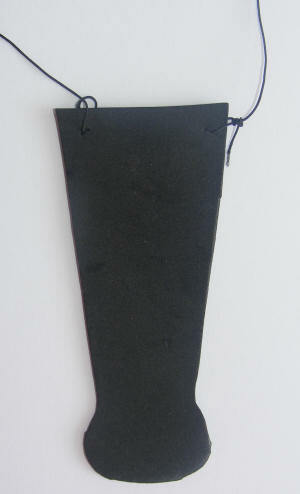 Sam also made a beard by cutting a long, thin beard shape from black foam. He punched a small hole on either side, tied through some elastic and wore with pride!